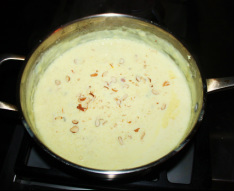 ﻿P﻿hirni is a very famous dessert in North India. 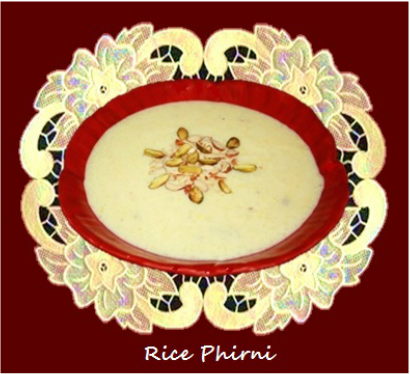 Phirni is prepared with ground rice and milk, flavored with cardamom, saffron and Rose essence and decorated with nuts. 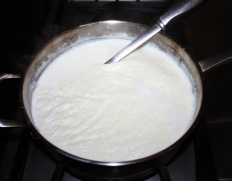 Traditionally phirni is served chilled in earthenware pots (Mitti Ke pyaali or Kulhad). Originally this dish is white but adding saffron or rose syrup can give this dish a beautiful yellow or pink color. 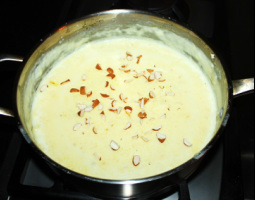 Phirni is a variation of kheer but it taste quite different then kheer. 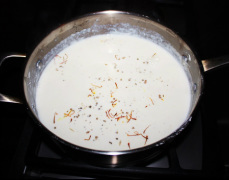 Phirni is one versatile dessert which can be flavored differently according to one’s taste. You can add some seasonal fruits like strawberries, peaches or pineapples and give a little twist to this simple dish. This dish is quick and quite easy and simple to make and is an ideal dessert during festivals, feasts, occasions or religious rituals at home. 2. Once rice are soaked wash and drain the water out and grind them in the blender, add some water forgrinding and make a coarse paste. start becoming thick. 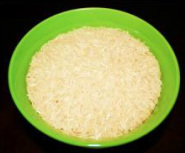 Stirring is important otherwise rice will form lumps. 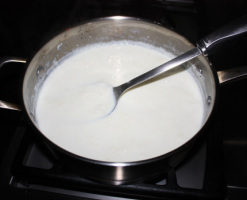 mixture is of creamy consistency, turn the stove off. 7. Add 4 drops of rose essence and mix. 8. Add half of the sliced almonds and pistachio nuts and mix. 8. 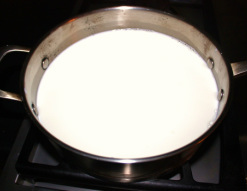 Place the serving bowl in refrigerate until chilled. Serve phirni chilled. 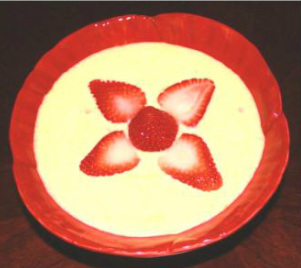 Serve the phirni with fruits like strawberries, peaches and pineapples.